AFRICANGLOBE – Libya is fast becoming a failed state. The country continues to suffer at the hands of the scores of militias and armed groups that control the different cities. It has also become a safe haven for transnational terror, human- and arms-trafficking and criminal organisations, including the fast-growing Islamic State (ISIS). Libya has not had any form of effective government since the overthrow of Muammar Gaddafi in 2011. Meanwhile, two rival parliaments and governments are fighting for control of the state. The Tubrok-based and internationally recognised government of Libya has scaled up its campaign to regain control of the capital Tripoli. The conflict is deepening divisions, ruining lives and destroying the country’s economic infrastructure and institutions. The African Union (AU) recently stepped up efforts to solve the crisis. Last month, on April 1, the third meeting of the International Contact Group for Libya took place at ministerial level in Niamey, Niger. Co-chaired by Smaïl Chergui, AU Commissioner for Peace and Security, and Aïchata Boulama Kané, Foreign Minister of Niger, the meeting expressed concern at the continued violence and spread of terrorism in Libya, called for an immediate and unconditional cessation of hostilities and backed the United Nations-led talks. In January 2015 a series of UN-brokered talks took place in Geneva between groups representing the two parliaments. This was followed by a unilateral truce declared by the Libyan army. However, the ceasefire did not hold and the country has witnessed a fresh spate of violence. The UN Support Mission in Libya (UNSMIL) subsequently unveiled a six-point plan to end the crisis on March 24, ahead of the next round of talks between the warring parties. The proposal includes the creation of a unity transitional government to oversee the design and adoption of a new constitution and the transition to a democratically elected government. According to the UN, the different groups are running out of resources and support both internally and externally, and the Libyan public is reaching the limits of what it is prepared to tolerate. UNSMIL Head and UN Special Representative Bernardino León says this bodes well for effective mediation. The UN envoy announced that preparations were underway for the armed factions to enter into direct talks for the first time. This followed a meeting on April 19 between representatives of the two rival parliaments, which reportedly succeeded in narrowing the differences between the rival parliaments on some points. León announced that the two “governments” had reached a draft agreement, raising hopes over the possibility of sealing a final comprehensive deal. Despite encouraging developments, the prospect of a comprehensive deal is further complicated by the presence of uncontrolled and uncontrollable armed groups like ISIS. Exploiting the instability and lack of an effective government, the group has now consolidated its presence and expanded its operations and activities in Libya. On April 19 ISIS released a video showing the beheading and assassination of 30 Ethiopian Christians in two locations in Libya. In a Press statement dated April 20 2015, the AU condemned what the “inhuman and barbaric killings”. The statement emphasised the urgency for co-ordinated action to address the situation. Ansar al-Shari’a, the largest of the radical Islamist groups in Libya, recently pledged allegiance to ISIS. 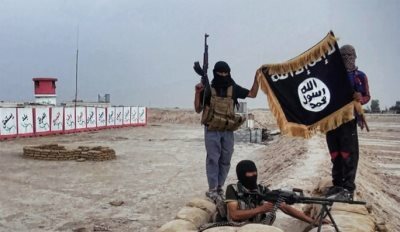 They join the various militant armed groups in Egypt, Algeria and Nigeria that have professed their loyalty to ISIS and its self-declared caliphate. It is feared that the group might use the vacuum in Libya to spread its ideology, influence, network and mechanisms to the Sahel and beyond. Divided along ideological, religious, regional and clan lines, Libya has also become the single biggest transit point for immigrants crossing to Europe. April 2015 proved to be the worst month for migrants attempting to cross the Mediterranean. Following the reported deaths of around 1,300 migrants in less than two weeks, debates surrounding rescue operations and related issues such as the migration crisis and the situation in Libya have dominated the media. Italian Prime Minister Matteo Renzi, who refers to the traffickers as “the slave traders of the 21st century”, has been calling for direct action against people smugglers. European Union (EU) leaders are considering different proposals on how to respond to the crisis, including a project that offers 5,000 resettlement places for migrants “qualifying for protection”. The situation in Libya was discussed at the EU Foreign Affairs Council on April 20. Following the emergency meeting of EU interior and foreign ministers, the EU announced that it was considering sending warships to the Libyan coast to combat oil and arms smugglers. However, the proposal was met with strong opposition from some EU members, who feared such actions could encourage more migrants to take to sea hoping to be rescued by the warships and taken to Europe. The EU remains divided on how to respond to the immigration crisis. Meanwhile, Libya’s Tubrok Parliament, based in the east of the country and considered to be the centre of the secular forces, is scaling up its efforts to arm itself against the Islamists based in the west of the country. Libyan Prime Minister Abdullah al-Thinni has been critical of the UN-imposed arms embargo on Libya and claims it is emboldening the radical groups, including ISIS. Permanent members of the UN Security Council, including France, the United Kingdom and the US, have so far refused to lift the February 26, 2011 arms embargo as set out in UN Resolution 1970. Thinni’s government has repeatedly requested the UN to lift the embargo to fight radical groups and Islamist militias, but with no success.